Your opinion matters. Leave your review of Life Center of Eastern Delaware County. Description: 50 bed facility based shelter for single adult men and women. 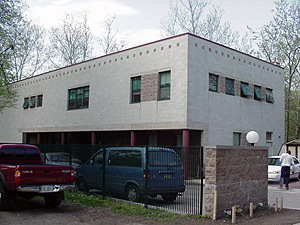 The Life Center houses 50 individuals at any given time and serves over 160 residents per year. All guests must complete and intake screening. If there are no beds available, you will be placed on a waiting list. Waiting list guests should contact the Life Center every two to three days to check on the status. The Community Outreach project coordinates a meal program every night at 7pm - 8pm. Life Skills classes on Tuesdays from 2-3:30 each week. Do you have items to donate? Contact Life Center of Eastern Delaware County at the phone number provided above to see if they can use any items you may have to donate.